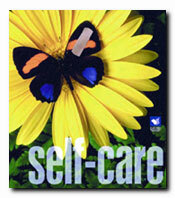 A comprehensive collection of self-care procedures and wellness topics. This kit is a comprehensive collection of health and wellness topics that is ideal for everyone. The topics range from minor injuries to skin and muscle and joint problems. You'll find out how to treat burns, bee stings and backaches as well as other common problems. Also includes a general section about staying healthy.